For more than 75 years, Serta has been an industry leader in comfort products worldwide. That tradition of innovation and quality continues today. 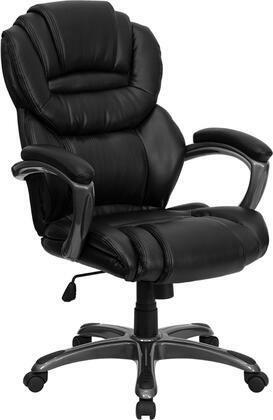 From a brand that is synonymous with quality, comfort and style, Serta Health & Wellness Executive Office Chair offers an amazing new support feature called the AIR Lumbar. The AIR Lumbar flexes and pivots with your body as you lean and twist providing a continuous support experience you've never felt before in an office chair. 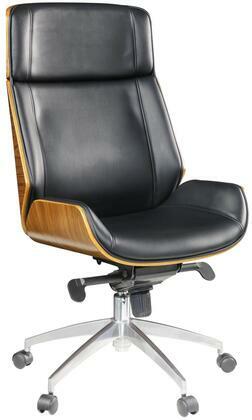 Next, is the upholstery in soft and supple light grey eco-friendly bonded leather with contrast stitching. The deep, ergo layered body pillows offer the body a serene and tranquil seating experience. Peforated center area of back adds great beathability. 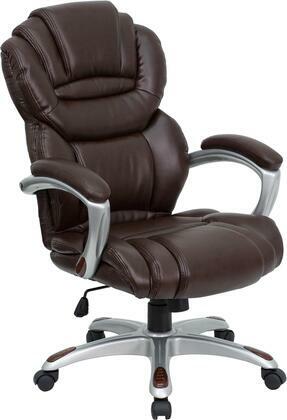 Stylish padded armrests for precise arm positioning and added hand, wrist, and forearm comfort. Ergonomic seat-side cable actuated levers for convenient height and tilt adjustments. 1 year limited warranty. Product assembly is required. Designed in the USA. Features: Eco-friendly Ligh Grey Bonded LeatherIridescent Silver FinishFeaturing the AIR kinetic lumbar that adapts to your movements for continuous amazing lumbar supportDeep, ergo layered body pillows offer the body a serene and tranquil seating experienceErgonomic seat-side cable actuated levers for convenient height and tilt adjustmentsSoft upholstered arm pads on stylish sculpted arms with black accent insertsPneumatic lift with adjustable tension and lock out featureHeavy duty base with stylish accents in Iridescent Silver finish meets or exceeds BIFMA standardsSpecifications: Product Dimensions: 46.5" H x 25.75" W x 29.75" DProduct Weight: 38.91 lbs. 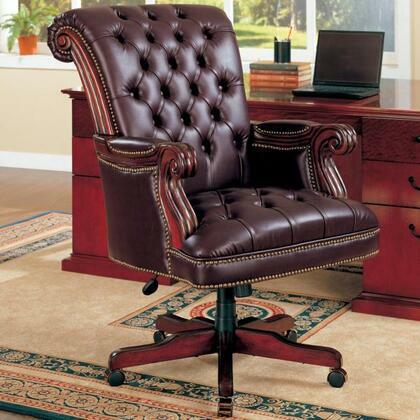 Stylish comfort is what you will get in this genuine leather Executive Office chair. The base is cast aluminum construction with gas lift swivel mechanism and smooth-rolling casters.